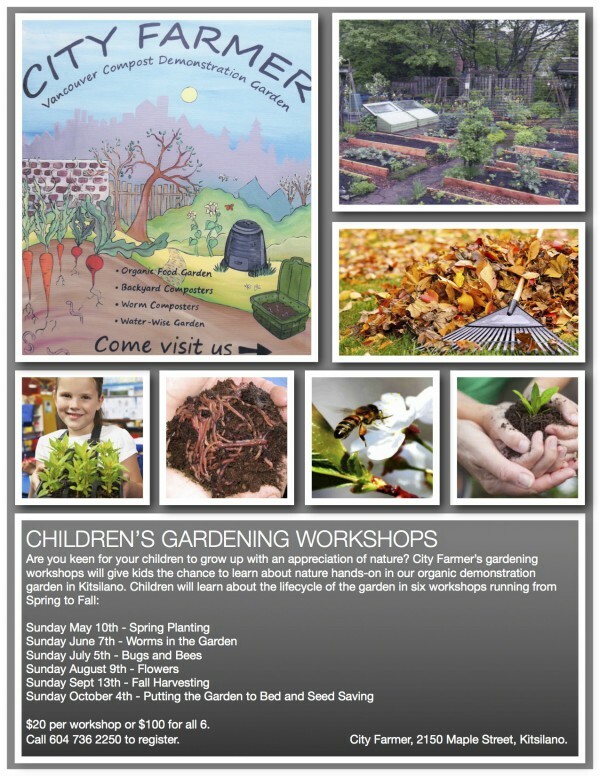 I will be running a series of children’s gardening workshops at City Farmer in Kitsilano starting this spring.The workshops will give kids the chance to learn about nature hands-on, at City Farmer’s organic demonstration garden in Kitsilano. Workshops run from 9.30am – 11.00am. $20 per workshop or $100 for all six. Contact City Farmer at 604 736 2250 to register.